Rarely do I talk about my own personal life on this space, because it's just not that kind of blog. But with some big transitions for me recently, I wanted to take a moment to give some updates. I am super excited to announce that today I start a new full time position at Community Development for All People (CD4AP) as Director of Experiential Learning! CD4AP is the non-profit sister organization of UM Church for All People, where my husband and I have been members since moving to the neighborhood in 2009. 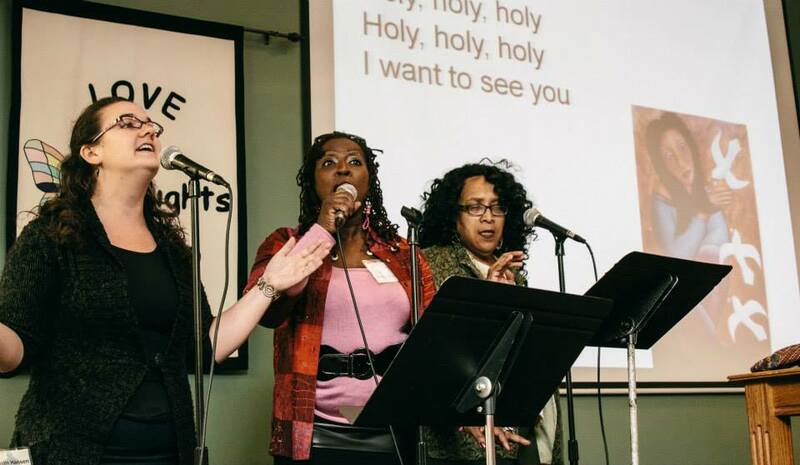 The church is a multi-race, multi-class congregation in Columbus, OH that prioritizes asset-based ministry with (not 'to' or 'at') marginalized communities (see post: Church for All People). This means we understand that God's people are our greatest assets in doing God's work, abiding with one another in relationship through the grace of Christ. It means we recognize and rejoice in our differences, knowing that God makes each one of us to be God's hands and feet on this earth. It means we're working to become the unified and diverse Body of Christ, acting as living witnesses to the power of the Gospel to transform hearts, minds, and lives. I love this place. A couple of years ago, I joined the staff of the church to lead Sunday morning worship music. We have a unique style of multicultural worship that honors the many traditions and genres that our congregation celebrates. Any given Sunday we may sing hymns, Black gospel, CCM, or Appalachian bluegrass...and they could be in any number of languages! The music team is amazing and I just try to keep up with their talent. In this role, I've also had the honor of directing the Ubuntu Choir for All People, a remarkable group of singers from the congregation that embodies so much of what the church is all about. But I came to Columbus to pursue a doctorate in Neuroscience at Ohio State. This blog was launched shortly after beginning my graduate work as a discipline of self-education in my own of journey in racial justice/reconciliation. As I learned, I wrote, and as I wrote, I learned. I put words to action through local activism and my ever increasing involvement at C4AP. 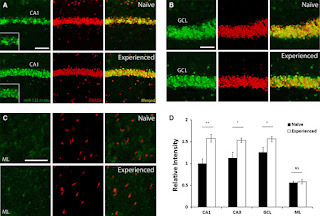 But all the while, my day-job was focused on my research on the molecular/genetic regulation of learning and memory (if you're curious about that whole other life of mine, a summary of the research can be found here, with the resulting publications available here). I always believed that once I graduated, I'd be moving to whatever city that career took me. As I neared the end of my studies, it was looking like it was going to be time to say goodbye to Church for All People. But God had a different plan. In the midst of interviews and exciting opportunities in Academia, the gentle whisper of God's voice said "yes, these are good, but there's another option too..." And in fact, sometimes when God calls it’s not really whisper at all, but a roar in one's heart that simply cannot be ignored. So having graduated this past spring with a PhD in Neuroscience, I'm now taking a flying leap into the arms of God's plan. Life since then has been whirlwind of tremendous transition, with lots of travel and life's surprises thrown in the mix. But after months anticipation, the day is finally here. So what does the Director of Experiential Learning do? Good question. There is so much good work to be done and I just want to be a part of it in whatever way best serves the Lord's purpose. But specifically, this role will involve a number of initiatives related to the training work that CD4AP does. I will serve as the program director for the new South Side Neighborhood Leadership Academy, a project through the United Way of Central Ohio that equips grassroots leaders to advocate for transformative, asset-based change that benefits neighborhood residents rather than simply driving them out. I will also be heading a new experiential module for participants of More Than My Brother's Keeper, a program with the The Kirwan Institute for the Study of Race & Ethnicity. In addition, I will help facilitate C4AP's training conferences, seminary classes, and missions visits, which prepare churches from around the country in deepening their ministries of justice and reconciliation for the sake of the Gospel. We serve a God of experiential learning. A God who walks alongside us, demonstrating a glorious vision of the Kingdom and inviting us to be a part of building it. This is not a God who lectures or tells us to sit still and be quite. Our God calls us into action, drawing us to learn through our experience of God's grace over our lives. I've been looking forward to making this transition public for some time now, and so it is exciting to finally be underway. This blog will continue for the foreseeable future, not necessarily in direct association with CD4AP, but no doubt influenced by the many adventures yet to come!